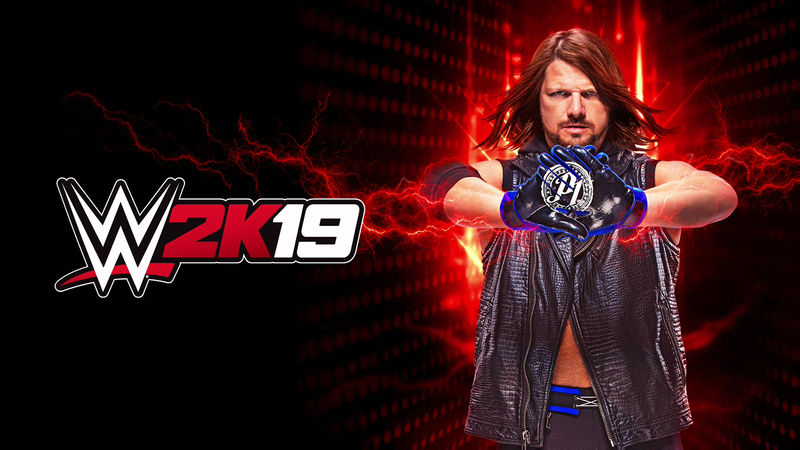 Jumping right in, My Career, to be as blunt as possible, has been terrible for what feels like forever since the good old days where a WWF/WWE game would have some sort of point to a career mode. Recent ones have been flat out dull and littered with errors and just massive portions of not much happening in it at all. In WWE 2K19 this is sort of fixed, and if anything at least has a thread of a point of something to the career this time around, and not just months and months of boring stuff. 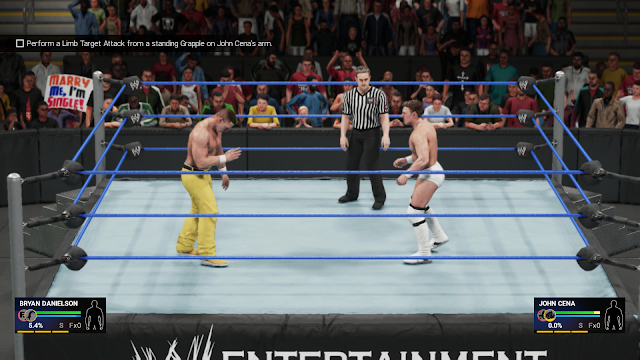 Before you get going you, of course, have to make the guy you are planning on taking on this ride of WWE stardom, choosing from five fighting styles when creating your character. A striker, technician, powerhouse, giant, and cruiser before you get going. Once that choice is out the way you can use a quick wizard to give him a look, some moves, and entrance and away you go. You play as a guy named Buzz, who starting out is one of the top talents on the indy scene in a place called BCW, who after being spotted by WWE, of course, has a rollercoaster of a ride with backstabbings and other wrestlers wanting a piece of him as you work through it. Think a really cheesy TV wrestling movie and you more or less know what to expect. Of course, going through you can earn points and things to increase attributes and skills, which of course make your character stronger and just much better in the ring. As well as playing the road to glory mode which offers matches against other online players, and the brand new towers mode being a part of this mode too. Something we will get to a little later. Overall My Player is a big improvement on recent offerings, but is still far from perfect, with the mode still feeling not much has been put into it if you strip things back a little. Still, it's better than the last few years if you wanna be positive. Now, Showcase mode. A mode that has been sorely missed in my eyes, and something I was deeply gutted about it being taken out, so was happy seeing it get a return. This time around you play huge fan favourite (up until his recent saving the planet gimmick on our TV screens, which of course fans hate), Daniel Bryan. The showcase follows him from his first match on Velocity right up until his surprise comeback at last years WrestleMania with Shane Mcmahon versus Sami Zayn and Kevin Owens. In between matches, Daniel gives some insight to the match itself, with you unlocking some stuff while working through it. You complete certain moments in the match via a checklist to make it play out like the original match did, with matches either being a first look or reminder for somehow Bryan got to where he is today, and also how some key moments in matches help get him there. While being short (12 matches) it was still a fun little break away from everything else the game offers, but it would have been nice if it went on a bit longer and had a bit more to it. One playthrough for me and I never really had a reason to return. Then we have 2K Towers, which sounds like something you would find in a Mortal Kombat game, but is simply you playing in a gauntlet of matches against superstars, with each "tower" having certain themes, match rules, win conditions, and stipulations. Winning a tower will earn you a reward of some sort. Fun for the first few times, but not something I've not lost that much time on in all honesty. Stuff that doesn't really felt like it's changed that much but returns are modes like Universe and the online portion of the game. 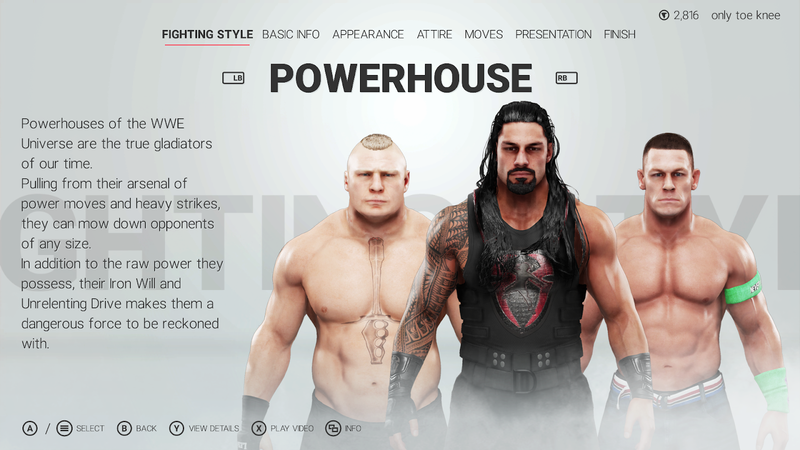 Universe mode still lets you take control like you were a GM of the whole company and shows, with you controlling what superstar is on what show, rivalries, champions, tag teams, and even adding in shows you've created if you so wish. Not a mode I tend to get on with, but I know there are gamers out there who love it, so this does nothing to change that for those that do. Online pretty much offers what it always does, so as with every review I will retype what I dod every year. 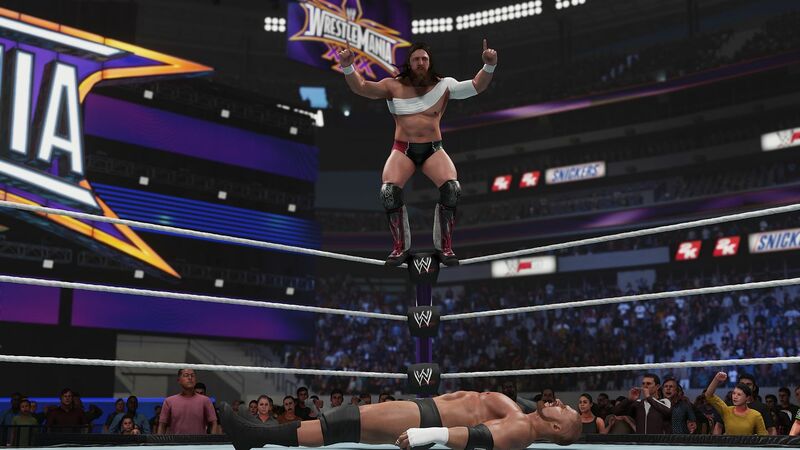 Unless you have a bunch of mates who create belts and play out like your own shows or just have a bunch of mates who will jump on with you and play a match like an actual real like WWE match, you won't really get a good match out of the live modes. Cheap wins a plenty or guys teaming up on you in a pre-planned way with you jumping into their game isn't really fun for me. Like I say though, mates who have the same mindset of putting on a good match, this can be a bunch of fun. Overall: WWE 2K19 is more of the same for the 2K series, with a few new things here and there, but the game itself still needing just a bit more to make it something great. Great to see showcase case back, even if it's a very basic form. Career/MyPlayer is better than previous years but still feeling like it's missing that little something to make it be as fun as it should be. All the yearly sports titles seem to have this problem. They can't keep churning them out and keep the quality. At least they haven't went the MT route though!